Thousands of spectators, including some affected by the 2011 earthquake and tsunami that devastated the region, gathered for the opening of a new rugby stadium in Kamaishi on Sunday hoping that the northeastern Japan city’s hosting of World Cup games next year will help speed up the post-disaster recovery. The facility, the only stadium newly constructed for the World Cup among the 12 venues, was built on a riverside lot in the Unosumai area where most buildings were washed away and two public schools were heavily damaged in the disaster seven years ago. 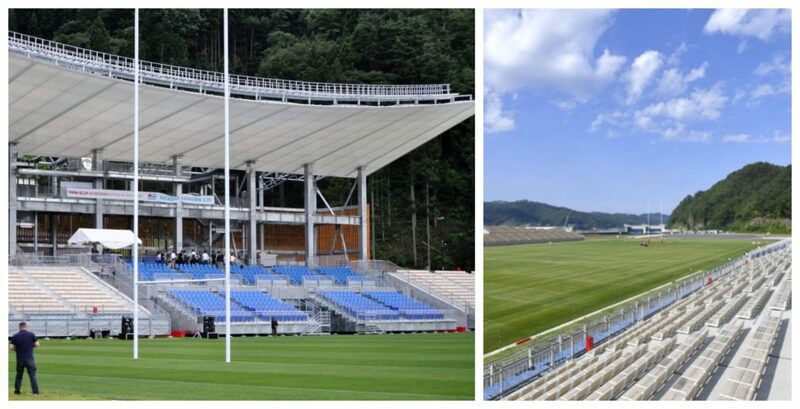 Kamaishi Unosumai Memorial Stadium has a seating capacity of 6,000 and will host two games — one between Fiji and Uruguay on Sept. 25, 2019, and the other between Namibia and the repechage winner that Oct. 13. Japan will host the sport’s World Cup for the first time. Officials in the city in Iwate Prefecture said temporary stands will be built before the World Cup so the stadium can accommodate 16,000 spectators. The estimated building cost of 3.9 billion yen ($35 million) was largely covered by central government subsidies. The total amount is expected to grow to expand the bleachers.